January 22, 2019 — MIAMI (WSVN) – A U.S. Postal Service worker was robbed at gunpoint in the Little Haiti neighborhood of Miami. 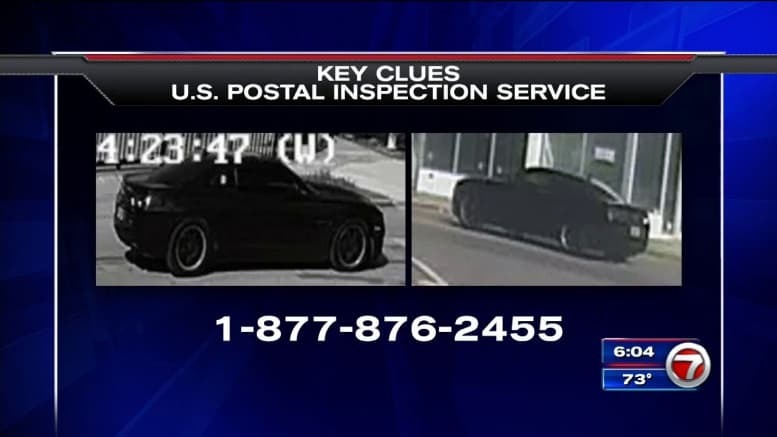 A thief stole the employee’s postal key before driving away from the area in a black Chevy Camaro with dark tinted windows. The getaway vehicle is said to be a newer model. The USPIS is offering a reward of up to $20,000 for any information. If you have any information about this incident, please call the USPIS at 1-877-876-2455.